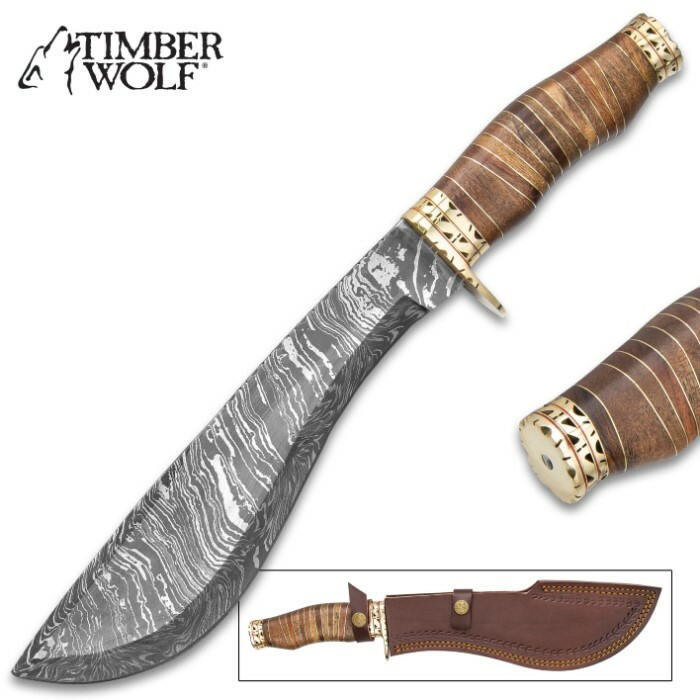 Timber Wolf Masai Warrior Knife With Sheath - Damascus Steel Blade, Walnut Wood Handle - Length 15 1/4” | BUDK.com - Knives & Swords At The Lowest Prices! 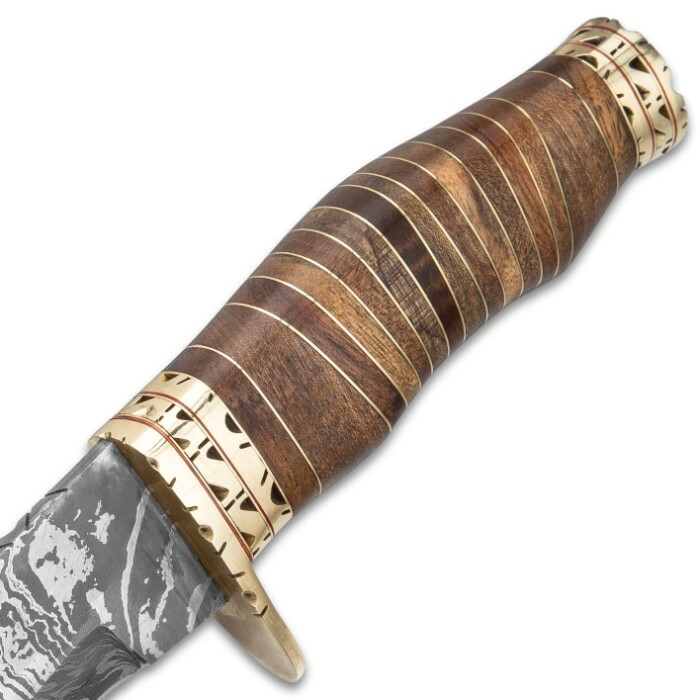 The Masai Warrior Knife from Timber Wolf, like the resilient African warriors it was inspired by, is built tough enough to defend a village from lions and other large predators. 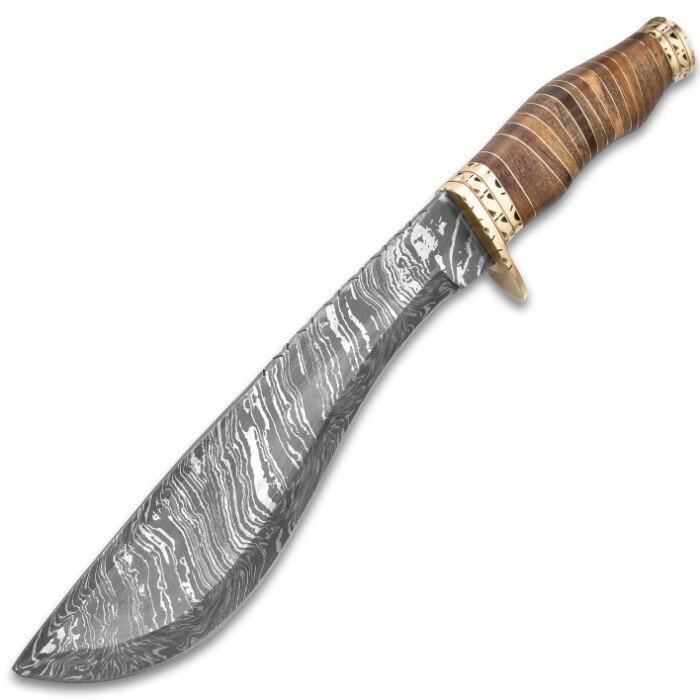 It has a big belly keenly sharp, 10” Damascus steel blade with a fire pattern that complements the fileworked pommel. The comfortably curved handle is fashioned of bands of warm, variegated walnut wood, separated by brass spacers. 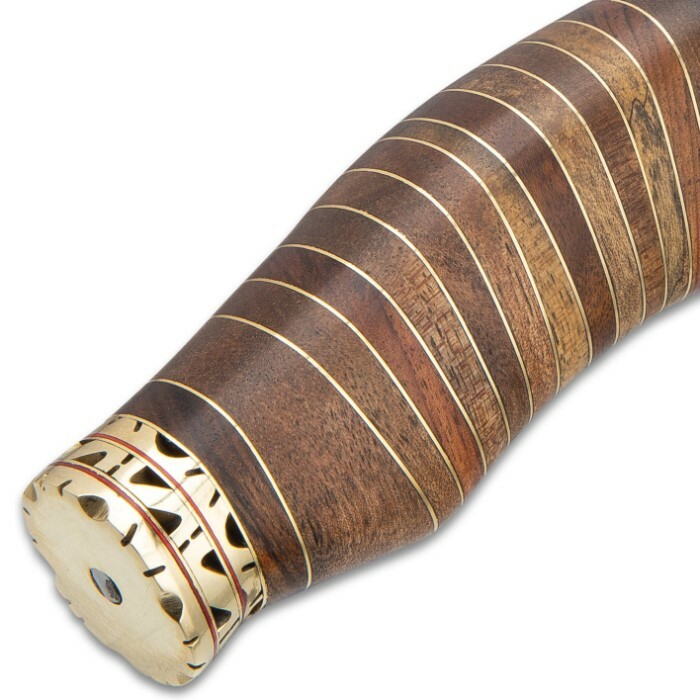 Both the pommel and the handguard are crafted of fileworked brass, which highlights the brown tones of the handle. 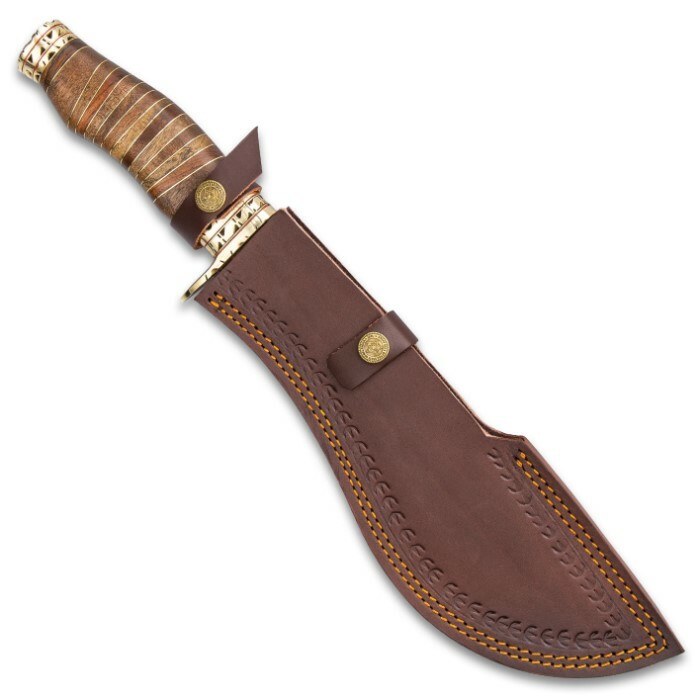 The 15 1/4” overall fixed blade knife slides smoothly into a genuine brown leather belt sheath with decorative embossed designs.